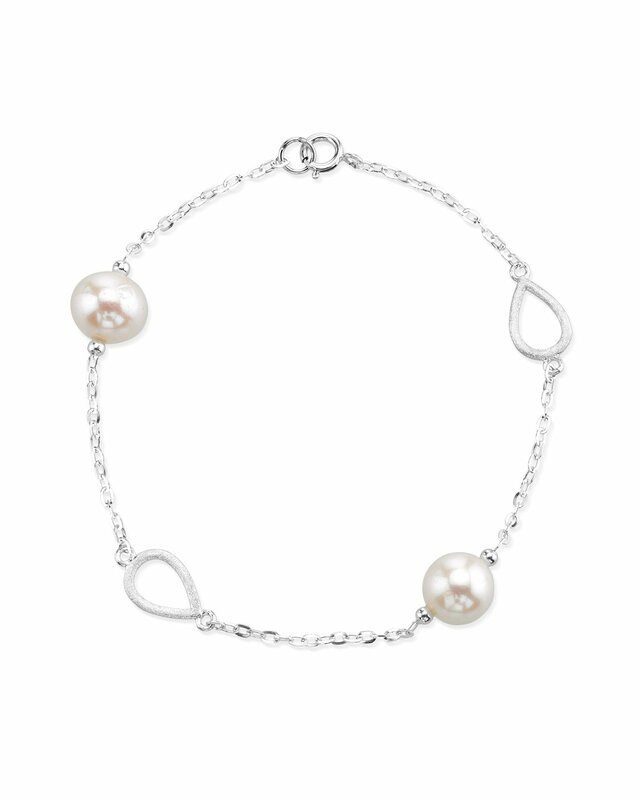 This chic pearl bracelet features 8mm AAAA quality Freshwater pearls hand picked for their incredible luster. 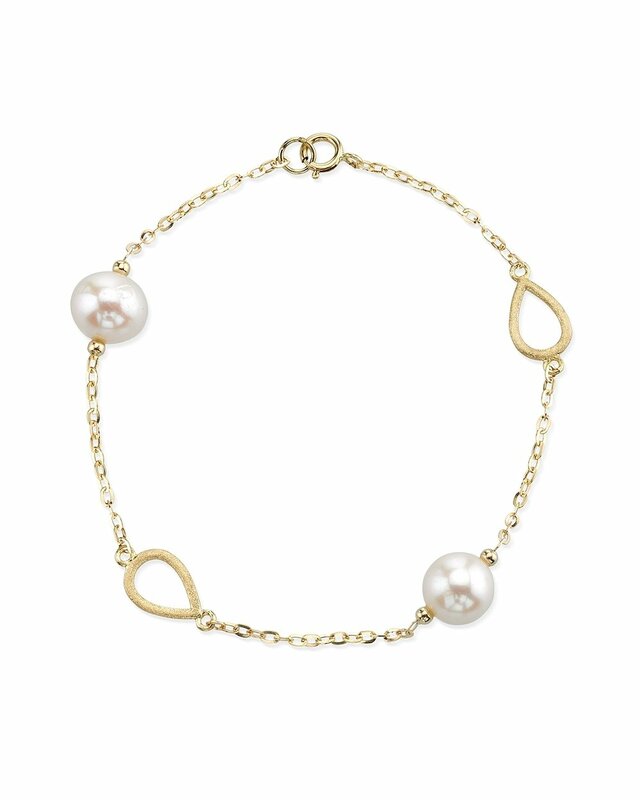 The pearls are mounted on the finest 14K gold chain with tear shaped design details. The bracelet is affixed with a lobster clasp.